Luxury London: what are the buyers looking for? Despite the confusion around Brexit, relations with Russia and concerns over taxation and interest rates, it seems London is still a magnet for property investment with investors looking to take advantage of a weakened pound and developers wanting to attract overseas investment. But in today’s market, it is not as simple as “build and they will come”; buyers are demanding more from their homes. Gone are the days of “Lights out London” as people are making the city a home for the whole multigenerational family, which means expectations are high and developers need to offer a lifestyle rather than just bricks and mortar. One developer doing this is British Land with its new development, Clarges Mayfair. Only 34 residences are available and price tags start at £4.25 million (Dh20.66 million), it is not just the stunning views over Green Park and Buckingham Palace, the 25-ft stainless steel swimming pool in the basement and the secure rotating car lift that are attracting buyers from all over the world — it is a little more personal than that. 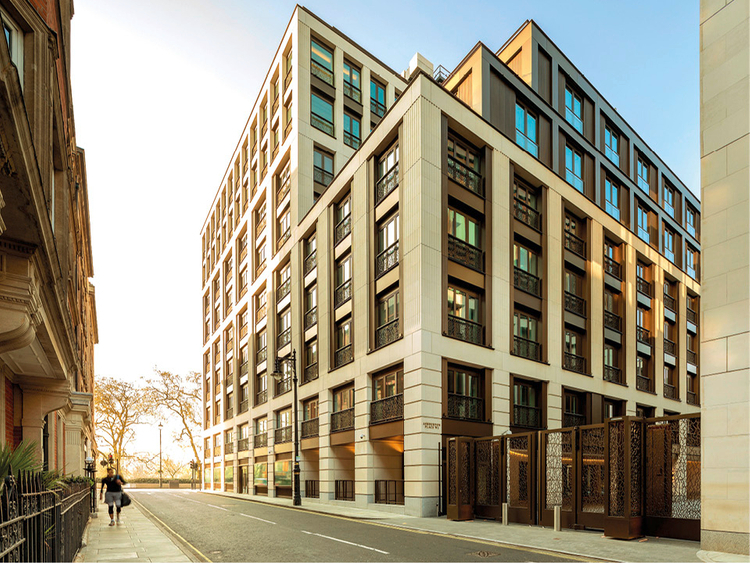 According to James Taylor, head of residential, the attention to detail and a building’s personality are keys to attracting buyers, which is why Clarges has spent as much time developing a dedicated concierge team as it has sourcing the building’s intricate marblework and dazzling artwork. And this is an attitude that Clarges Mayfair has applied since the team demolished the existing site in 2014. “Even back then, we were looking at the motto and narrative of the building and realised that craftsmanship, legacy and distinction were the defining phrases for Clarges Mayfair,” says Taylor.